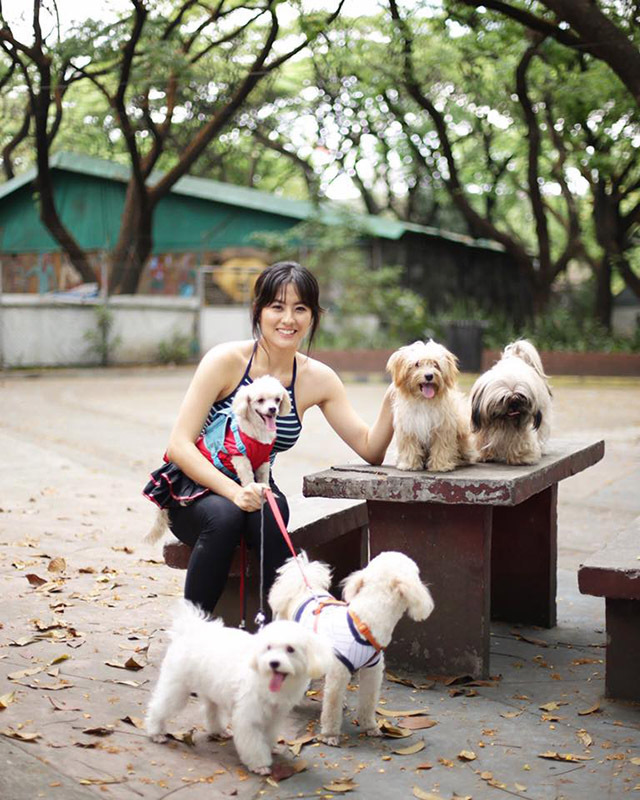 Bianca Taray has been a “dog mom”—or what female pet dog owners call themselves—ever since she was six. She personally feeds, bathes and, during times of emergency, brings her three Shih Tzus to a veterinary clinic even in the wee hours of the morning, just to ensure they get the care they deserve. To call them some of her best companions in life is an understatement. For the 21-year-old, her Shih Tzus are part of the family. So when it was time for her two female Shih Tzus to look for mates, she had to ask for help to find their best match. Ana Bautista, a fellow dog mom of two Shih Tzus, also had difficulty in looking for a mate for her dogs. Aside from checking the potential mate’s health, she also has to ensure that her dogs would be comfortable with the other dog. “Dog mating is no joke. My dogs sometimes refuse to mate with a dog she has only met. They are picky, much like how humans are,” Bautista observed. Looking for a mate is a challenge almost every pet dog owner has to face at least once in their lives. So when TV celebrity and fellow dog mom Jinri Park noticed how big of a problem it was for the pet community, she built Wagtales, an app that addresses and would hopefully solve the issue. When Park started Wagtales in early 2016, it was initially intended to become "Tinder for dogs," or a matching platform where dog owners can find potential mates for their pets. Pet owners simply have to sign up in the platform, upload a photo of their dog and write a short introduction describing their pet. Once in the platform, a user may freely swipe through different accounts to scout for a potential mate for his or her pet. And like the famous dating app, Wagtales will only show dogs that are near the area of a certain user to filter the database and for better chances for both parties to meet up physically. A user must only swipe right once he or she finds a user that he or she is interested in. If the other party does the same thing, then it’s a match. As of January 2018, there are around 1,700 dogs in the matching platform, most of whom are located in Metro Manila. Park admitted the app’s user base definitely has a lot of room to grow, but she is not in a rush. “I’m not too concerned with the numbers yet since we’re still keen on improving the app further and keeping true to our vision of making dogs happy,” Park said. By the time the app officially launched in May 2017, Wagtales had added a slew of new services in the app on top of its matchmaking platform. It provided an extensive directory of pet stores, veterinarians and trainers available nationwide. A lost and found section for missing dogs was also put up. An online marketplace for pet merchandise that may be accessed through the app will also be made available before the year ends. Park admitted the app is yet to make profit but she’s already banking on Wagtales' potential in e-commerce and ad revenue. “For now, I’m still focused on relationship and brand image building. I believe building a solid foundation will help us scale better and faster once we’re ready,” she said. 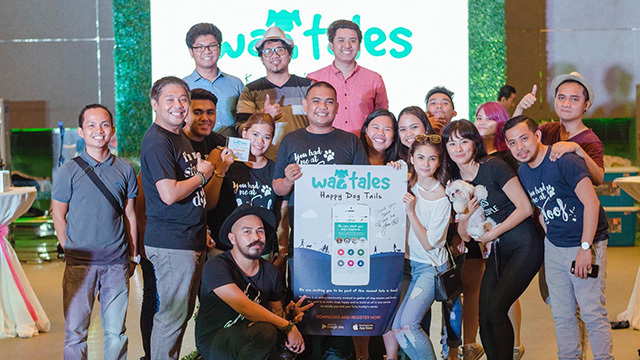 Once the app gains traction, Wagtales may soon be at the forefront of the country’s lucrative pet industry, which is still largely driven by offline channels like pet stores, pet goods and veterinarian clinics. In a report by The Atlantic in 2012, the Philippines was coined as the “Dog Capital of East Asia” as there is “one pet dog for every eight people in the country, whereas in Japan, which has the second-most pups per capita in East Asia, there is only one dog for every 11 people.” The report was based on a study by research firm Euromonitor International. The Fédération Cynologique Internationale, an international canine organization, also estimated that purebred dogs in the country have risen in number by 13 percent from 950,927 in 2014 to 1.09 million in 2016. Park said she is already looking into pitching Wagtales for funding to venture capitalist firms abroad, especially in the US. In the Philippines, she already has two business partners, business consultant Jay Bernardo and LEENTech Network Solutions CEO Richard Prodigalidad. It took a painful episode for Park to lead Wagtales’ transition from a matching platform into an all-in-one pet service for dogs. In late 2016, Park lost Lassie due to a digestive problem. After traveling for several months for work, Park went home to an already crippling Lassie, who she believed suffered from dog depression.